The university's campus spans over 8,600 acres (35 km2) on three contiguous campuses in Durham as well as a marine lab in Beaufort. 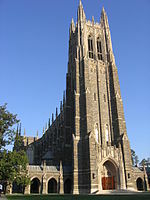 Duke's main campus-designed largely by architect Julian Abele-incorporates Gothic architecture with the 210-foot (64 m) Duke Chapel at the campus' center and highest point of elevation. The first-year-populated East Campus contains Georgian-style architecture, while the main Gothic-style West Campus 1.5 miles away is adjacent to the Medical Center. 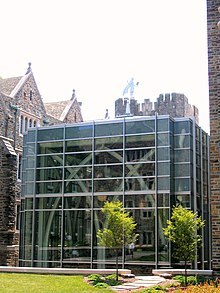 Duke is the 7th wealthiest private university in America with $11.4 billion in cash and investments in fiscal year 2014. Duke's research expenditures in the 2014 fiscal year were $1.037 billion, the seventh largest in the nation. In 2014, Thomson Reuters named 32 Duke professors to its list of Highly Cited Researchers, making it fourth globally in terms of primary affiliations. Duke also ranks 5th among national universities to have produced Rhodes, Marshall, Truman, Goldwater, and Udall Scholars. Ten Nobel laureates and three Turing Award winners are affiliated with the university. Duke's sports teams compete in the Atlantic Coast Conference and the basketball team is renowned for having won five NCAA Men's Division I Basketball Championships, the most recent in 2015. Duke started in 1838 as Brown's Schoolhouse, a private subscription school founded in Randolph County in the present-day town of Trinity. Organized by the Union Institute Society, a group of Methodists and Quakers, Brown's Schoolhouse became the Union Institute Academy in 1841 when North Carolina issued a charter. The academy was renamed Normal College in 1851 and then Trinity College in 1859 because of support from the Methodist Church. 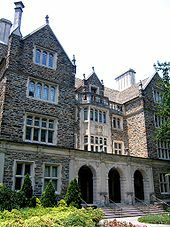 In 1892, Trinity College moved to Durham, largely due to generosity from Julian S. Carr and Washington Duke, powerful and respected Methodists who had grown wealthy through the tobacco and electrical industries. Carr donated land in 1892 for the original Durham campus, which is now known as East Campus. 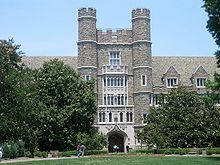 At the same time, Washington Duke gave the school $85,000 for an initial endowment and construction costs-later augmenting his generosity with three separate $100,000 contributions in 1896, 1899, and 1900-with the stipulation that the college "open its doors to women, placing them on an equal footing with men." 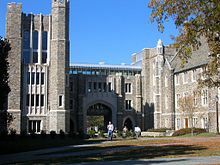 What are the academic rankings for Duke University? 1. number 13 for Academics. 2. number 3 for ROI (Return on Investment). 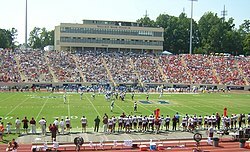 What universities are similar to Duke University?